Presentation covers are made with durable, clear plastic to protect bound documents from spills and tears. 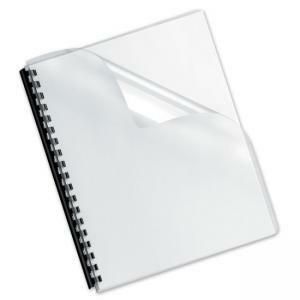 Unpunched covers easily adapt to any binding system. Not for use with thermal binding systems.